British luxury brand TEMPERLEY LONDON is a name synonymous with fashion. 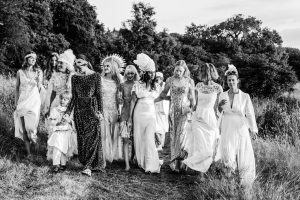 Designing for over 16 years, Temperley London is a favourite of the likes of Kate Middleton, Pippa Middleton, Penelope Cruz, Kate Hudson and Scarlett Johansson to name just a few. Their signature style offers romantic, ethereal and decadent wedding dresses exquisitely executed from the finest tulles, silks and laces and adorned with intricate embroidery crafted and applied by hand. 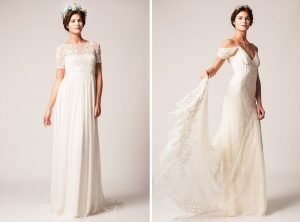 Think silk sheath gowns, cascading chiffon skirts and elegantly beaded necklines, bodices and sleeves. 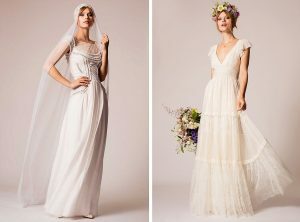 For the very first time, the beautiful craftsmanship of Temperley London Bridal is coming to Adelaide and The Bride Lab are very excited to be hosting this exclusive Trunk Show from the 16th – 24th September. Book your appointment today to view these breathtaking wedding dresses!